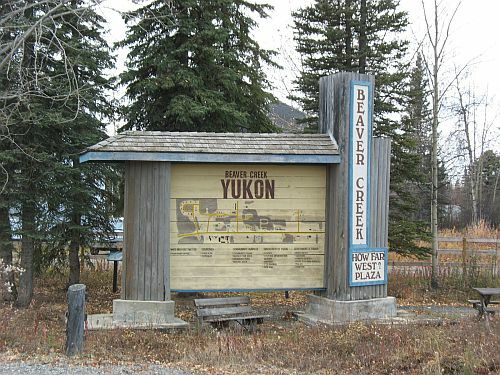 On this date in 1942, US Army engineering crews working east from Delta Junction, Alaska and west from Whitehorse, Yukon met up near Beaver Creek, Yukon, completing the Alaska Highway. 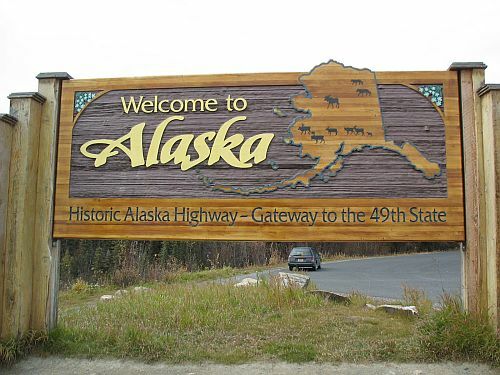 For the first time, Alaska was accessible from the Lower 48 by road. This was a remarkable achievement, especially since it was done in only a few months; construction had begun in March and accelerated in June when the Japanese invaded the Aleutian Islands, making the need for a military route to Alaska seem more pressing. Also noteworthy about the construction effort was that about a third of the soldiers who worked on the project were black, and their impressive accomplishments apparently played a role in the total integration of the military a few years later. Two years after the highway was completed, while it was still under US Army control, Frederick Johnson of the Peabody Foundation (now the Peabody Museum of Archaeology at Phillips Andover) conducted an archaeological survey along the route as part of a multidisciplinary expedition that had begun the year before with biological and geological studies. Johnson published a short article in 1946 describing the survey and illustrating some of the artifacts found. The main importance of this (apparently largely forgotten) article was just to preliminarily describe the archaeology of a large region that, because it had been so difficult to get to before the construction of the highway, was almost completely unknown. Johnson says as much in the article, while also noting the theoretical importance of gaining an understanding of this region because of its potential role in the peopling of the New World as a migration corridor. He doesn’t press the latter point, however, and it’s pretty clear that the artifacts he describes are much too recent to have had anything to do with the initial migrations into North America (although there’s no way he could have known this at the time and he doesn’t say anything about it). The presence of geologists in the group was useful for Johnson’s purposes, as it meant that the stratigraphy of the sites he excavated could be evaluated with an expert eye. Most or all of the artifacts from the sites he discusses in detail, and perhaps of all the sites he found, came from what appeared to be a single layer of reddish-brown soil under a layer of volcanic ash over five inches thick in some places but much thinner in others and apparently absent entirely in some. This ash is presumably the so-called White River Ash from the eruption(s) of Mt. Churchill, which is in this general area; these eruptions may have been pretty important in the prehistory of this region and beyond. The artifacts therefore predate the eruption(s), but not necessarily by very long. The artifacts themselves, all of stone and almost all chipped rather than ground, consist of projectile points, scrapers, gravers, and a variety of miscellaneous forms. Johnson notes that the assemblages from all the excavated sites are quite similar, which is noteworthy because the area covered was so large. This implies they probably date to about the same period (as does the similar geology of the strata in which they were found) and may have been made by people from the same cultural tradition. The sites themselves all appear to represent the same kind of occupation, which Johnson terms a “workshop” where stone tools were made or repaired. Only one site had a firepit, and none had anything suggesting the presence of structures. Beyond that there isn’t much Johnson can say, since the state of knowledge of subarctic prehistory was so rudimentary at the time and the area he was discussing had essentially no prior information at all. 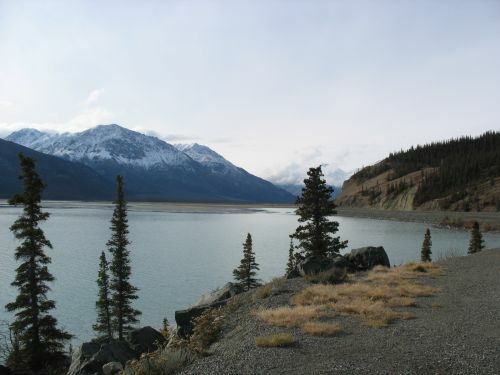 As it happens, the part of the Alaska Highway I drove on my way up to Anchorage is near some of the sites Johnson mentions, many of which are in the Kluane Lake area of the southwest Yukon. It was interesting to see placenames I recognized in this article. I’ve been reading quite a bit about Alaska archaeology recently, and it’s really quite fascinating. I’m not sure quite where Johnson’s findings fit into the overall picture, since his article seems to be virtually forgotten by now and recent work basically never cites it. His pictures of artifacts are probably good enough to tell where they would fall in currently understood culture sequences, however, and I have an idea of where that might be but I’ll have to look into it a bit more before discussing it further. I’m still not sure if this blog will be the best venue for discussing Alaska stuff, but it’s what I’ve got for now and I figured I should mark the occasion of the highway’s anniversary by talking a bit about its much deeper past. I made it up to Anchorage fine, although some car trouble along the way delayed me a bit. I’ve been here for a week and a half now, and am still settling in a bit. I like my internship a lot, although getting me totally set up in the office has taken a while and I haven’t done a whole lot of substantive work yet. I have been sitting in on a lot of meetings and learning a lot about how the planning process works in the Park Service, which is interesting for me since my graduate program mostly focused on very different contexts for planning. There are a lot of similarities, but some important differences too. 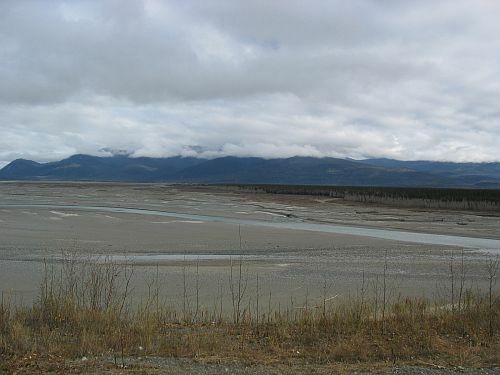 Even within the Park Service, the Alaska region operates under unique circumstances due to the Alaska National Interest Lands Conservation Act of 1980 (ANILCA), which established most of the Alaska parks and sets out a number of special conditions for how they are to be managed. This, from an interesting blog on natural resources and recreation that I recently discovered, is a pretty good summary of the background to ANILCA. Anyway, the upshot of all this for this blog is that things are likely to be fairly quiet for a while as I get settled in and decide how I want to deal with blogging from here on out. I will definitely continue to write here, minimally on Southwestern archaeology, which I do intend to continue to follow and comment on. I also have a lot to say about issues related to planning, and I will likely soon have things to say about Alaska as well. I haven’t yet decided if I want to talk about that stuff here as well, or if it might make more sense to start new blogs for them. I’m leaning toward the latter solution at this point, since I think specialization is the way blogging has been heading for a while now, and for good reasons. I’m open to suggestions on this, however. Like I say, I will continue to write about the Southwest here, but given my current circumstances I may not have much to say about it for a while. In the meantime, read Steve Lekson’s blog. He’s got a lot of interesting stuff to say, in his inimitable style (which translates much better to the blog format than is typical for archaeologists). This recent post on urbanism in the ancient Southwest goes into a lot of issues that I’ve been thinking I should write about, but he basically says most of what I would say at this point, and I agree with almost everything in the post. I have more quibbles with his post on the scale of Chaco’s influence, but it’s definitely worth reading as well. Thanks for bearing with me during these changes. I’ll have more to say about Alaska at some point, either here or elsewhere, but for now I’ll just say that I like it a lot up here. 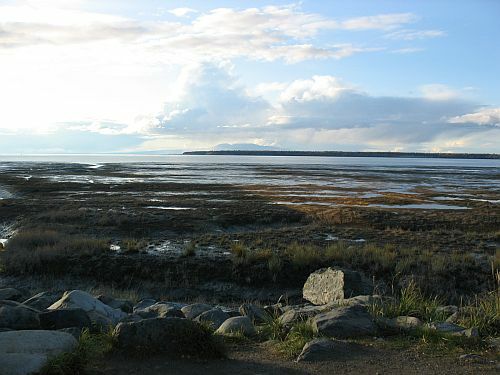 Anchorage is a great city in a spectacular location. People in other parts of the state are famously contemptuous about it, but it suits me just fine.